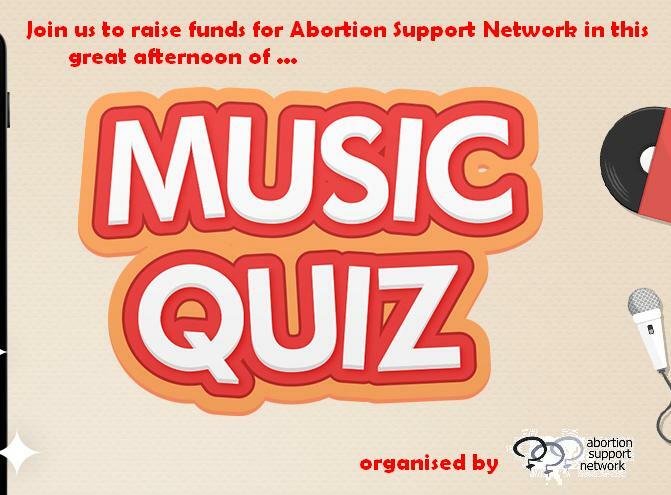 The Festival of Choice starts this year with a great Music Quiz to raise funds for Abortion Support Network. Are you ready to help us raise MUCH NEEDED CASH for women in the Republic of Ireland, Northern Ireland and the Isle of Man who are forced to travel from their home countries IF and WHEN they need an abortion? Then, join us for this music quiz on 22nd September at 7.30pm at The William Blake Pub right beside Old Street Station. The amazing organisation that helps these women is Abortion Support Network. They are largely volunteer run and donation funded. They provide non-judgemental information at a time when that is what a woman needs. They provide funding to women when funding is available. Raffle prizes and prizes for 1st and 2nd place along with Spot Prizes for random things that we think we should judge you all on. ← Join The 4th Annual March for Choice.